Tin dreamed of creating a safe life for his family in America. He didn’t speak any English when he arrived here as a refugee. 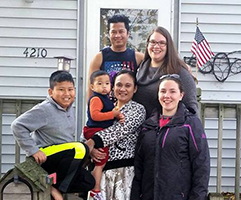 Through programming provided by the Kenosha Literacy Council he has vastly improved his English and learned the skills needed to get a job, become a US citizen and buy his family’s first home!